London parallel between Mondrian and Nicholson at the Courtauld Gallery. David Franchi – Monday, 28th May 2012. The exhibition “Mondrian || Nicholson: In Parallel” was focused on the friendship between the two artists. The Courtauld Gallery exhibition ended with great succes and 79,888 visitors. It brought together an extraordinary group of paintings and reliefs to show how each artist was driven by a profound belief in the potential of abstract art. 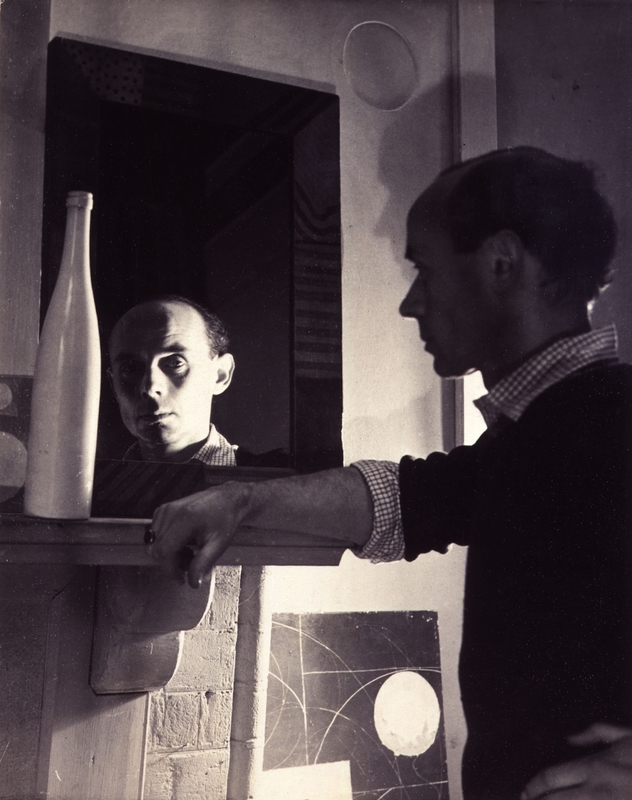 In 1933, Ben Nicholson visited Paris where he met Dutch painter Piet Mondrian – and Picasso too – whose style was to influence him in an abstract direction. 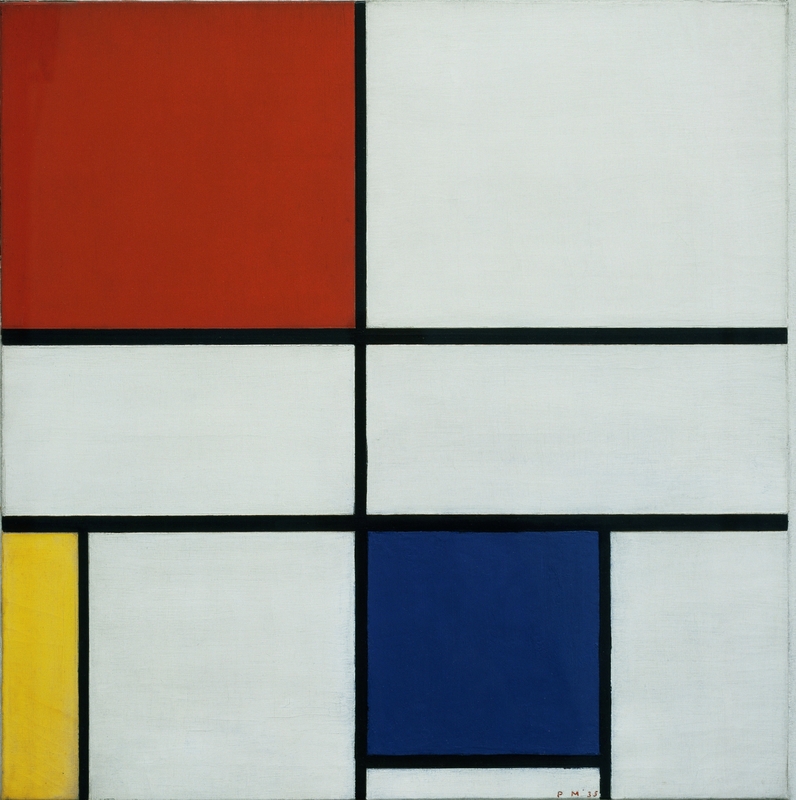 Mondrian was worried as his work had been included in the Nazis’ notorious 1937 show of degenerate art. 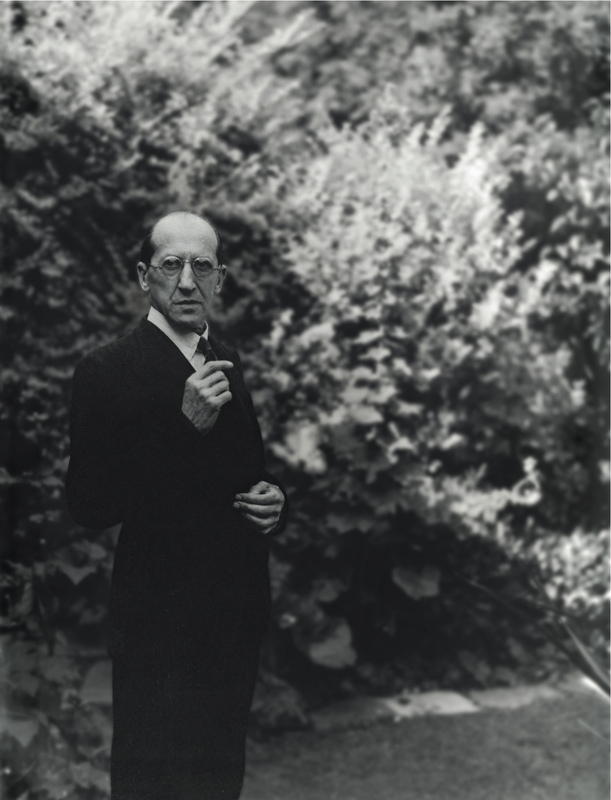 Therefore, Nicholson invited Mondrian in the UK when German invasion threat was very high. In 1938, in fact, Winifred Nicholson accompanied Mondrian from Paris on the train journey into exile in London. At that moment, Winifred was the first wife of Ben, while in 1938 he was getting married with the famous British artist Barbara Hepworth. Netherlands were invaded and Paris fell in 1940, Mondrian left London for New York, where he would remain until his death. Mondrian’s and Nicholson’s friendship in the 1930s spanned a highly productive period for both artists who, in their different ways, were determined to refine and intensify their abstract work. Nicholson had begun to pursue a pure form of abstraction before he met Mondrian but he found powerful confirmation of his artistic convictions through Mondrian’s example. At the same time Mondrian was taking new directions in his paintings. He also renewed the possibilities of his famous horizontal and vertical black lines leading to his development of the ‘double line’ which greatly enhanced the visual power of his compositions. Today these works are recognised as being among his most iconic paintings. The exhibition “Mondrian || Nicholson: In Parallel” brought together important examples of these works, reuniting paintings and reliefs which were exhibited or published together in the 1930s as well as those originally bought by collectors from Nicholson’s circle. The exhibition “Mondrian || Nicholson: In Parallel” shows the way the work of Nicholson evolved during the period in which the two artists were close. Nicholson were using more colourful paintings with unsteady lines processing more sober white reliefs. At the Courtauld Gallery exhibition displayed also letters and other memorabilia that revealed Mondrian hidden personal character from a different point of view. Without warning, “Mondrian || Nicholson: In Parallel” displays in London at the same time as “Picasso and Modern British Art” – at Tate Britain. The latter also has a section on Nicholson. Both the exhibitions showed developments of the British art under the inspirational presence of the more complete continental artists, highlighting how they reacted to the influence of major artist. An interesting initiative of the Courtauld Gallery was to invite people to dress in 1930s glamour style and get a free entrance for the exhibition “Mondrian || Nicholson: In Parallel”, on the 10th May, with live jazz music, art workshops and talks. The exhibition was curated by Professor Christopher Green (The Courtauld Institute of Art), and Dr Barnaby Wright, Daniel Katz (Curator of 20th Century Art). In association with Paul Holberton Publishing. Sponsored by: ING, Abellio Group, Embassy of the Kingdom of the Netherlands, London, Friends of The Courtauld Gallery, Nauta Dutilh. Further support provided by: Crane Kalman, Hester Diamond, Richard Green, The Headley Trust, Hazlitt Holland-Hibbert, Bernard Jacobson Gallery. At the Courtauld Gallery, Somerset House, Strand, London. From 16th February to 20th May 2012. « The importance of Picasso for the Modern British Art at the Tate Britain.